New Ideas in…: the Petroff Defence (12 part series). C42: Petrov: Nimzovich attack ,Petrov: Cozio (Lasker) attack /Kaufmann attack/French attack, Petrov: classical attack ,Petrov: classical attack, Jaenisch variation. The Petroff Defence (sometimes called the Russian Defence, and named after Russia's Alexander Petrov, 1794-1867) is considered as one of Black's most reliable and solid methods of meeting the king's pawn opening. It is easy to play and an excellent choice for someone looking for an alternative to the Scotch Opening, the Italian Game and the 'Spanish torture' of the Ruy Lopez. Until a few years ago, the Petroff was an opening that was favored by only a few top Grandmasters, including Anatoly Karpov and Artur Yusupov. However, the last few years have seen a dramatic rise in its popularity, and it now provides battlefields for many top clashes of the modern elite players, including Anand, Kramnik, Leko, Topalov, and Shirov. And in the latest of his "New Ideas in..." series, GM Ronen Har-Zvi, takes a closer look under the microscope at the solid Petroff. New Ideas in…: the Petroff Defence (12 part series). 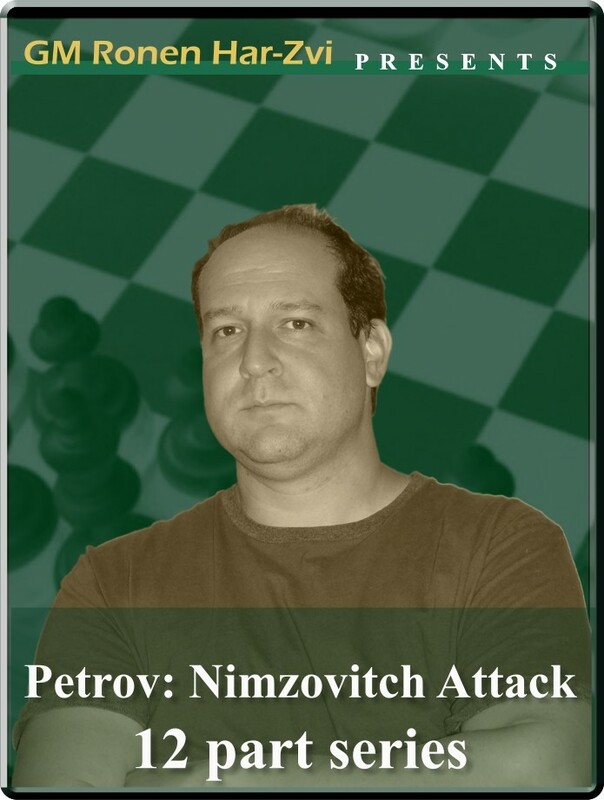 C42: Petrov: Nimzovich attack ,Petrov: Cozio (Lasker) attack /Kaufmann attack/French attack, Petrov: classical attack ,Petrov: classical attack, Jaenisch variation. The Petroff Defence (sometimes called the Russian Defence, and named after Russia's Alexander Petrov, 1794-1867) is considered as one of Black's most reliable and solid methods of meeting the king's pawn opening. It is easy to play and an excellent choice for someone looking for an alternative to the Scotch Opening, the Italian Game and the 'Spanish torture' of the Ruy Lopez. Until a few years ago, the Petroff was an opening that was favored by only a few top Grandmasters, including Anatoly Karpov and Artur Yusupov. However, the last few years have seen a dramatic rise in its popularity, and it now provides battlefields for many top clashes of the modern elite players, including Anand, Kramnik, Leko, Topalov, and Shirov. And in the latest of his "New Ideas in..." series, GM Ronen Har-Zvi, takes a closer look under the microscope at the solid Petroff.